1Co 12:20-25 As it is, there are many parts, yet one body. (21) The eye cannot say to the hand, “I have no need of you,” nor again the head to the feet, “I have no need of you.” (22) On the contrary, the parts of the body that seem to be weaker are indispensable, (23) and on those parts of the body that we think less honorable we bestow the greater honor, and our unpresentable parts are treated with greater modesty, (24) which our more presentable parts do not require. But God has so composed the body, giving greater honor to the part that lacked it, (25) that there may be no division in the body, but that the members may have the same care for one another. 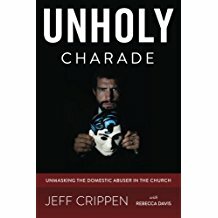 Over the years as I have worked with victims of abuse – the majority of whom are Christians – I have seen a very damaging dynamic at work with some frequency. Victims of domestic or sexual or some other brand of evil we call abuse often find themselves loaded down with shame. They regard themselves as damaged goods, inferior to other people who have never known abuse. This is how the thinking goes. I am sure that abuse survivors could easily add to this list, but you get the idea. Shame. Guilt. Seeing yourself as inferior to others and therefore, generally, unwanted. I think that the Apostle Paul had this kind of thing in mind when he wrote the Scripture above. There were people in the church who did not possess the more visible spiritual gifts others had and who (perhaps helped along by the sinful arrogance of others) were tempted to regard themselves as unneeded, inferior, and unwanted. This kind of thinking, says Paul, is entirely false. Using the human body as an analogy of the church, Paul reminds us that every real Christian is indwelt by the SAME Spirit, and that all spiritual gifts are given for the very same purpose – the building up of the church to the glory of Christ. No one is inferior. No one is to be ashamed or feel as if they are not needed. Consider, for instance (as Paul reasons) the little finger, or little toe. Small parts in comparison to say the nose or eyes or hand and yet without them, the body would not be complete. And when any part is hurting – well, have you ever smashed your little toe? The whole body suffers. And there are body parts that are not seen (at least where there is proper modesty, something increasingly lacking in our day). But are those members that are out of sight therefore unimportant and unneeded? Let’s see, without them there would be no human reproduction – and you can think of other examples yourself. When an abuse survivor is weighted down with guilt and shame and sees themselves as rather worthless in comparison to others, relationship problems crop up. How long, for instance, are we going to last in fellowship with our brothers and sisters in Christ if we are overcome with these kinds of false ideas? These thoughts are not from Him who called us! They are from the enemy. They are based on the false notion that anyone who is targeted and victimized by an evil person is weak, foolish, marred, and broken. But Christ Himself had all kinds of evil abuse hurled His way. So did all the Apostles and in fact the Bible makes it plain that ANY true Christian is most certainly going to be abused by the enemy. Really then, we are ALL in the same boat. So perhaps we have our thinking all turned around on this thing. While not all of us are going to be targeted by a full-blown sociopath abuser, anyone who stands for Christ in this evil world is going to be abused. And if we are thinking that a person who is so abused is somehow second rate or inferior, then we need to get our heads screwed on 180 degrees opposite to what they are! Mat 5:10-12 “Blessed are those who are persecuted for righteousness’ sake, for theirs is the kingdom of heaven. (11) “Blessed are you when others revile you and persecute you and utter all kinds of evil against you falsely on my account. (12) Rejoice and be glad, for your reward is great in heaven, for so they persecuted the prophets who were before you.